Radio Host, Jody Miller-Young Pet Fashion Blogger/Radio Host interviewed our founder, Deirdre. From pinup model to model citizen for Pitbulls, Deirdre “Little Darling” Franklin, founder of Pinups for Pitbulls, is advocating for and educating about America’s Family Dog in creative, kitschy calendars, books and fun merchandise, showcasing them as the loving, sweet, goofy dogs they are. But, its not all fun at the ranch; Franklin also has a masters in public policy and she’s using it to fight breed specific legislation around the world. Lots of stories that will enlighten and inspire. Deirdre is a one of a kind and my kind of gal. 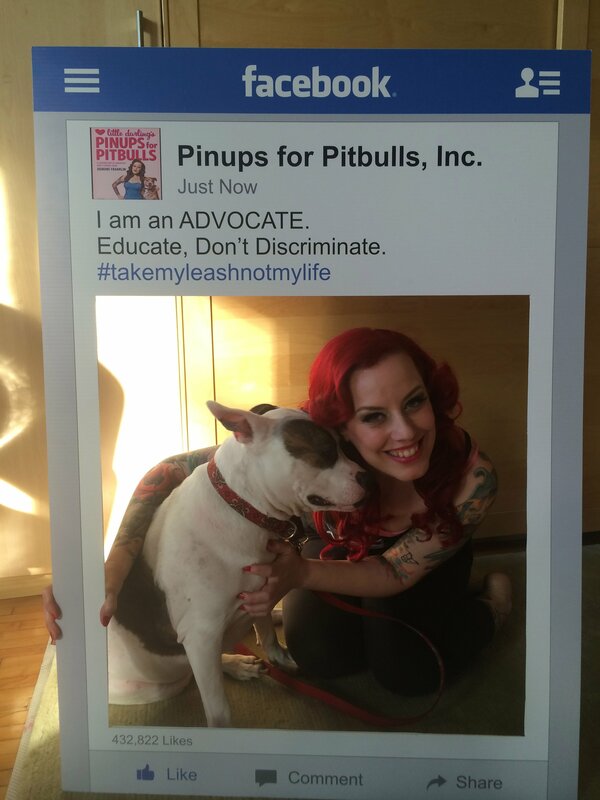 Deirdre Franklin is the founder, president, and soul behind Pinups for Pitbulls, Inc., an education and advocacy group that helps shelters and animal rescues around the country. She earned her Master’s degree in public policy at Drexel University and wrote her thesis on breed discriminatory laws. She has garnered many accolades for her efforts in dog advocacy, including the Wallace Award, by championing the relationship in the human-canine bond. She lives in Asheville, NC. Animal advocate and author Deirdre “Little Darling” Franklin joined Tim in this episode to talk about her book, little darling’s Pinups for Pitbulls. Tim asked about how the book came about and the message it sends regarding pit bulls and those that truly know and love them. Deirdre and Tim discussed raising animal rights issues and laws and how people can get involved and provide their support. The book is chock full of beautiful pictures of pinup girls and beautiful pit bulls, all while sending a wonderful message. You’re sure to enjoy this episode! We are a publicly funded, 501(c)3 nonprofit. Your donations support us each year. Please consider a donation today. Look for our newsletters once every few months. Rest assured your e-mail address will not be sold or distributed. © 2005-2019 Pinups for Pitbulls (PFPB). All Rights Reserved.